Balance, flexibility, strength, and endurance are not the words you want to use with raw beginners to yoga. Instead, yoga teachers can talk about connections, self-confidence, acceptance, love and respect as the new students move from one posture to another. Making the class creative by adding modifications, adjustments, etc., to the basic yoga poses can bring in more than required benefits to the students. In the day to day activities (for both working and non-working) of the students, the body endlessly works hard balancing to support the mind that is thinking non-stop. The energy that the body needs at such times is higher than what it can give, and hence at times it just can't fight anymore. At times like these practicing yoga in a more meaningful way that only connects you to the breathing process, is most welcome. In the give yoga sequence the yoga poses are done using the wall to encourage students to be relaxed while connecting to their body and it's limitations. The connection to the breath go hand in hand, and that helps them to go slow and deep as they love, respect, and accept their body. View the complete yoga sequence with 33 yoga poses. Sign-up for free to Tummee.com yoga sequence builder to view, copy, and edit the sequence. Get started today for free! A. The standing yoga poses are all done either facing the wall or standing with the back to the wall. B. The choice of using the wall is optional. The yoga poses that may not require the wall can be done few feet away from the wall or with the side facing the wall. 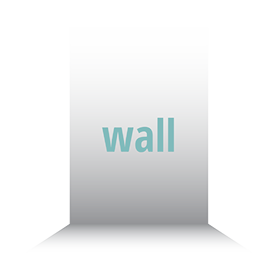 C. The use of the wall is only to support the body and give confidence during the initial yoga sessions. Once students get comfortable with their own body after understanding it, then practicing the poses even without the wall is accepted. D. Allow the students to decide when they are ready for the same, but encouraging them to try the poses without the wall is a great way to boost their confidence. E. The idea of the following yoga poses whether standing or seated is not to make a perfect posture, but to connect with the stretch of the respective muscles, and to encourage breathing deep with connections. F. Awareness of the body and breath should be emphasized all through out the session. A. Stand with the back to the wall, ensuring the feet are few inches away from the wall. B. Standing too close to the wall (back of the heels touching the wall) may not bring proper balance, and one may find it irritating to rest the entire back body on the wall. C. Close the eyes (optional), and begin to connect to the breathing pattern that is currently happening. Don't make efforts to breath, just be aware of the breath. D. Stay connected to the current breathing for about 1 minute. Then gradually take the breathing under your control. Focus on the inhalation first for about 6 breaths by just feeling the body expand for 6 deep and long breaths. E. Then move the attention towards the exhalation. Focus on the exhalation for about 6 breaths. F. Next, focus on both the inhalation and exhalation for 6 breaths. Feel the breath at the tips of the nostrils, feel the breath fill up in the abdomen, feel the breath at the tips of the nostrils as it comes out. Make this deep connections to the breathing pattern for a full 6 long breaths of both inhalation and exhalation. G. Once done, rub your palms generating heat and place the palms on your eyes as you take a deep breath. Repeat this for about 3 times. H. Without this connection even with long hours of yoga session, you will not feel energized and yet relaxed. Hence, connecting to the most beautiful thing like the breath is the first step towards healing your own body. A. Turn around and face the wall, standing few feet away (based on level of comfort). B. Placing the hands on the wall (with elbows bent), keep the palms on the wall at shoulder level resting all the four corners of the palm. C. With inhalation come to balance the body on all the ten toes. Exhale and come down with the foot to rest the heels back on the ground. 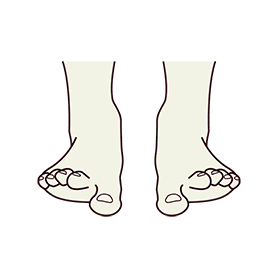 D. Again, inhale and raise the foot and balance on the toes, as you press all the ten toes, including the last little toe. Build that awareness and feel all the ten toes touch the ground. Make that effort to connect to the sensation of all the ten toes, and back again on the heels. E. Repeat this up and down movement of the feet for about 8 times as you use the wall to support. While doing this don't gaze at the feet below, but look at the wall in front of you. 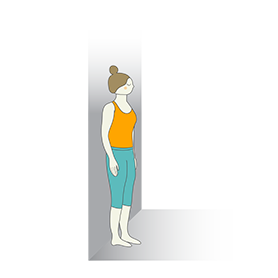 F. Release and stand to relax in Mountain Pose in front of the wall and connect to the breathing. A. To continue, as you hold the wall facing it, inhale and raise the toes of the ground and balance on the heels. B. Exhale and balance taking the front part of the feet higher up (listen to your body, and don't over do it). 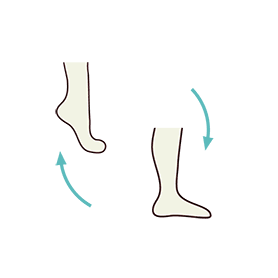 C. As you lift the toes, you should feel the stretch at the lower and upper part of the back leg, mainly at the calves and the ankles. D. Repeat this for about 8 times trying your best to coordinate with the breathing. E. Release and relax standing in front of the wall, back in Mountain Pose. A. Continuing standing in front of the wall, as you hold the wall come to rest the weight of the body on the Big Toes as you lift the other toes. B. Inhale to lift the toes, exhale stand straight and stay in balance for 5 seconds. C. Release and come down with the toes. Repeat again as you inhale to raise the toes and exhale to stay in balance. D. Repeat this 8 times taking the balance for a longer duration like from 5 seconds to 10 seconds. 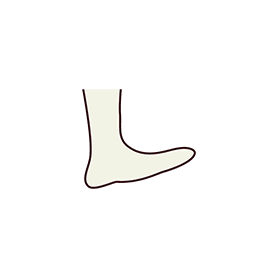 E. A great simple exercise to release the sore and tired feet. Moving the toes, ankles, heels and soles are great way to warm up the legs while also keeping them light. A. Still continue in front of the wall. A. 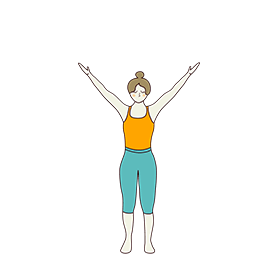 As you stand in front of the wall, inhale and raise the arms to about 45 degrees and rest the hands on the wall as you bend a bit forward to reach the wall. B. Place the chest, face (chin), as well as the arms on the wall stretching the shoulders, and upper back. C. Once you have rested on the wall, hold the posture with eye closed and feel and connect to the stretch at the arms, neck, upper back, chest, and middle back. D. Stay for about 6 breaths. The wider the arms the more relaxed you will feel while you connect to the stretch. E. A simple yet powerful method to connect to the upper body with deep breathing as you gently open the muscles at the heart. F. A sense of calmness should be there, and if this is not there, release and come back to stand in Mountain Pose. G. Don't push the wall with your hands, chin or chest. Rest these on the wall as you feel the chest touch the wall each time you inhale. H. Release and relax completely as you stand back in Mountain pose. A. Inhale and place your hands on the wall, higher than your shoulder level. B. Exhale and bend your knees. 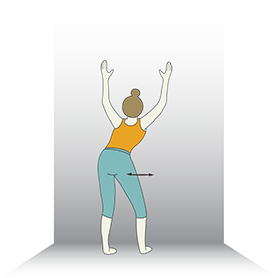 Inhale and begin the gentle rotation of the hips as you use the wall for support. C. Move the hips either in circles or just from left to right and the other way. Don't put the weight of the body on the wall or on your arms. D. Using the wall just to support you and not to rest the arms with your entire body weight. E. Move gently as you coordinate the breathing process. A great way to open the lower body while also opening the lower back and hips. F. Practice this for about 8 breaths including both ways. You could choose to stand as far away from the wall to suit your comfort. G. Release and stand in Mountain Pose relaxing and connecting back to the breath. View all 33 yoga poses with cues. Sign-up for free to Tummee.com yoga sequence builder to view, copy, and edit the sequence. Get started today for free!